According to The Norwegian Academy of Music, the purpose of higher music education is ‘to educate tomorrow’s professional performers, church musicians, conductors, composers, music technologists, music teachers and music therapists’.1)www.nmh.no. In order to evaluate whether the education is in crisis, we need to look at the situation in the professional music world, and then the relationship between the education and the work market. The status of classical music is decreasing rapidly, something we see reflected in shrinking media coverage, record sales and the ageing audience. We see orchestras shutting down in the United States and in Europe, and there is a strong tendency to remove or marginalize teaching of classical music in primary and secondary schools. Classical music has alienated itself from other contemporary art forms, leading to a so-called crisis in classical music which is heavily debated.2)See for instance Norman Lebrecht, Who Killed Classical Music? Maestros, Managers, and Corporate Politics (Secaucus, NJ: Carol Publications, 1997); Martin Tröndle (ed.) Das Konzert: neue Aufführungskonzepte für eine klassische Form (Bielefeld: Transcript, 2009); John Sloboda ‘Klassiskutøvarar må lære av popkonsertar. Intervju av Fred Olav Vatne’, www.nrk.no/kultur/_-klassiskutovarar-ma-laere-av-pop-1.8354587 , 2012 (retrieved 17.01.2015) and Greg Sandow Rebirth: The Future of Classical Music, a Book in Progress, www.artsjournal.com/greg/ (retrieved 17.01.2015). One of the major challenges for classical music is that music mediation has been largely unchanged since the nineteenth century. The essential parts of the bourgeois concert ritual and framework, including concert halls and repertory choices (a narrow standard repertoire within the Western musical canon), structures and traditions, can in many ways be seen as historical relics. Classical music has thus been criticized for appearing in museological and rigid forms, unaffected by the cultural revolution we have seen in other music genres and in other art forms during the last hundred years. Due to our thriving oil-fuelled economy, Norway has been spared so far, even though the Radio Orchestra and military orchestras have been threatened. But we have no reason to doubt that the crisis will also reach the outskirts of Europe. So, if there is a crisis in the classical music world, how does that affect the work market for musicians? The NIFU survey, of 2014, ‘Spill på flere strenger’ (Play on multiple strings), which surveyed performing and creative musicians trained at eight music education institutions in Norway over the last ten years, shows that there is a particularly good job market for freelance or portfolio musicians.3)The year after graduation 93per cent had work, of which 26per cent were in permanent employment, 34.5per cent were freelancers and 18.8per cent had temporary positions (the others were students, unemployed and other). The figures show that in today’s job market, tenured positions are the exception, while the combination of part-time jobs and short-time contracts is most common. These findings are in accordance with international tendencies, the majority of graduates will be freelancers or have portfolio careers.4)Dawn Bennett, ‘Academy and the Real World Developing Realistic Notions of Career in the Performing Arts’, in Arts and Humanities in Higher Education 8/3 (2009), pp. 309–27. The obvious and burning questions are: Do we provide students with what they need to navigate the free music scene, where the majority of them will in fact end up? Do we make them employable? The main focus of the conservatory training has been to teach music mainly through instrumental skills. Through the master–student apprenticeship model, knowledge is transferred from previous generations. Other subjects such as ear training, theory, music history and orchestra are referred to as supporting subjects. Which skills do freelance and portfolio musicians need? In addition to excellence in performance, they may need to be able to generate new ideas, create and run projects, run workshops, run ensembles, raising funds, write applications, book concerts, market concerts, set up a webpage, curate concert series and festivals, teach etc. This is a multitude of different skills, hard and soft, old and new. But, how do we integrate these new skills into the already hard-pressed curriculum? By adding even more subjects on top of those already there? By removing some existing subjects and replace them with new ones? These questions are not easy to answer. It is the discipline-specific, meticulous, slow and process-oriented learning activities with instrument and music that create possibilities for a freelance career. This is the core capital, so to speak, in the work as a musician. And, it takes the same amount of time to become an excellent instrumentalist as it took 200 years ago. So, structurally speaking, if there is no extra time for learning extra skills, we need to rethink the architecture of the entire education. If we reverse the question of whether students get what they need through education, perhaps we get an even more important question: Do we offer the society music students who will challenge it to further development? In Dewey’s words, ‘education is the fundamental method of social progress and reform’.5)John Dewey, ‘My Pedagogic Creed’, The School Journal 54/3 (1897), pp. 77–80. Is it not the students who should be agents of change in society, through their artistic work? Music can have an explosive artistic power, it possesses a critical potential – it can reflect upon and criticize various aspects of society. In this perspective, conservatories have even larger social responsibilities, not only by keeping pace with the needs of the market and society, but also being at the forefront, be defining and leading the way in that music and art matters to people today. Education should not just be shaped by external demands, it should also shape those demands; it should have its own agenda – an artistic mandate for the future. In our time art is more important than ever, as a counter-movement, as an aesthetic space beyond reason, as something that can help to say something about what it means to be human in the world. Discourses are historically produced, they are maintained and further developed through social practices. 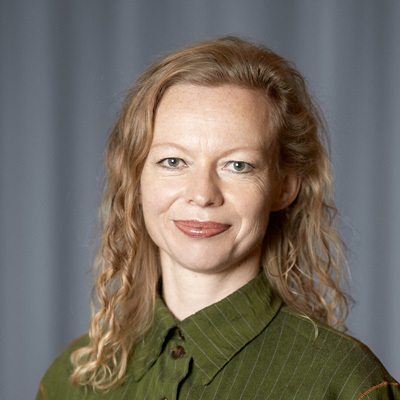 They represent a repertoire of actions, they seem constitutive, legitimizing and productive in social practice, and are thereby also regulating on the experiences obtained in situations where they have an impact.7)Monika Nerland, Instrumentalundervisning som kulturell praksis. En diskursorientert studie av hovedinstrumentundervisning i høyere musikkutdanning (PhD diss., Universitetet i Oslo, 2003), p. 11: Diskurser er historisk frembrakt, og opprettholdes og videreutvikles gjennom sosiale praksiser. De har det ved seg at de utgjør et repertoar for handling, de virker konstituerende, legitimerende og produserende på den sosiale praksis, og dermed også regulerende på hvilke erfaringer man kan gjøre seg i situasjoner der de har effekt (my translation). Instrumental teachers are central in providing and maintaining these social and historical practices through the master–student model. We must not forget that the majority of the teachers are a generation older and almost all have been recruited from positions in orchestras. In a time when large parts of the culture and technologies remain unchanged from generation to generation, the knowledge of a master teacher is still relevant and current knowledge. In a rapidly changing labour market requiring a variety of skills, we need to question whether this learning model is satisfactory. We must dare to question and go to the root of certain structures and hierarchies implicit in musical practice. These mechanisms are spinal reflexes in most classically trained musicians. It is a paradox that within the traditional master–student model, the student is told how to think, play and relate to established truths, while a sustainable musical career is based on questioning the very same things. To develop a capacity for critical reflection on their own practice and a healthy opposition to adopted and delivered truths is a fundamental principle of an independent musical career. It is also time to challenge Werktreue (to be loyal to work and the composer) which is a cornerstone of the classical music. I would argue that we need to look at these important basic structures, the conditions of the classical music scene, our relationship with the (master) work, performance and concert ritual, how it has shaped the musicians’ role, in order to transform this role into something else. Educational institutions have a huge responsibility to investigate these conditions for thoroughly being able to analyse the problem. I do not think that we can become radical and acutely relevant to society with classical music overnight, without reflecting on the past. We hear a contemporary unison demand for modernization of institutions and the performers role. But this cannot be solved with a quick fix, if we want a wider repertoire of career options, we must look at who we have been and who we are, in order to better determine who we can become. The architecture of higher music education must be supported by more than one pillar, the two equal pillars of instrumental skills and critical thinking need to be developed side by side, not in succession. We need to challenge the oppositions between practice and theory, art and craft, main instrument and support subjects. If we can bridge the gap and integrate theory into practice, thinking into doing, support subjects into the main instrument – then we will be on our way to educate a more reflective practitioner. The primacy of the instrument may be retained, but it becomes an object we think with and think through.8)See also cellist composer Tod Machover, ‘My Cello’, in Evocative Objects: Things We Think With, ed. Sherry Turkle (Cambridge, MA: MIT Press, 2007), pp. 12–21, presents his cello as the prime thinking object that connects him to a creative state. Conservatories should be conservative in the sense of holding traditional values, but not in the sense of being averse to change or innovation. Both performing arts and the skills and knowledge involved in craftsmanship are on UNESCO’s list of intangible cultural heritage.9)‘The goal of safeguarding, as with other forms of intangible cultural heritage, is to ensure that the knowledge and skills associated with traditional artisanry are passed on to future generations so that crafts can continue to be produced within their communities, providing livelihoods to their makers and reflecting creativity, www.unesco.org/culture/ich/en/what-is-intangible-heritage-00003 (retrieved 19.08.17). From the perspective of craftsmanship, the knowledge and skills passed down from person to person and group to group over centuries, is worthy of preservation and should be kept alive. If we lose one generation, we have lost centuries of skills and expertise. But, at the same time as conservatories are responsible for our cultural heritage, we must realize that the idea of preserving is an illusion. Knowledge and skills are not static; they are always in motion. The art of playing an instrument, considered as knowledge, competencies and set of skills, developed by groups of people over centuries, is constantly changing through and within diverse performance practices. On the other hand, if conservatories main task is to train professional musicians, they cannot be more conservative than the musical life needs for constant renewal. If history is to be preserved and remembered, it must be revitalized, reinterpreted and reconfigured through living practice. The current conservatory model is roughly based upon the traditional career options of the orchestral musician, the soloist and the music teacher. In Disciplining the Arts, Douglas Dempster describes how educational institutions foster a Winner-take–all society where the greatest talents, few in number, receive the majority of rewards. He writes ‘we must pause and wonder whether our educational programs are achieving the greatest goods for the greatest number – or even a sufficient good for an adequate number’.10)Douglas Dempster, ‘Some Immodest Proposals (and Hunches) for Conservatory Education’, in Discplining the Arts: Teaching Entrepreneurship in Context , ed. Gary Beckman (Lanham: Rowman, 2011), p. 6. What we see in our present working life is that what we believed were the prospects of few – work as a freelancer – have gradually become the prospects of many. In music education ‘knowledge’ is a highly complex combination of technical instrumental skills, aesthetic awareness and career know-how. The way this knowledge is constituted in the individual education trajectory in highly individual and subjective. Each student’s assembly of chosen and mandatory subjects, coupled with their practical and musical experiences inside and outside the institution, result in a highly individualized education. This makes it challenging to design and facilitate an educational programme that fits all. One ideal might be programmes tailored for each individual’s desires and needs, where we acknowledge and expand this complex concept of knowledge. Rather than winning auditions, the criteria of success could be reflexive thinking coupled with creative musicianship. We see that there is a rapidly growing field around the modernization of higher education for music students, in terms of reflection, research and practice. This tendency has become evident through various initiatives in higher education, such as ‘The Reflective Conservatoire’ conferences, NAIP (European Master of Music for New Audiences and Innovative Practice)11)See www.musicmaster.eu. and Polifonia (an ERASMUS network),12)See www.aec-music.eu/polifonia. in addition to a wealth of publications.13)Dawn Bennett Understanding the Classical Music Profession (Aldershot: Ashgate, 2008); Dawn Bennett and Michael Hannan, eds, Inside, Outside, Downside Up: Conservatoire Training and Musicians’ Work (Perth: Black Swan Press, 2010), Helena Gaunt and Ioulia Papageorgi, ‘Music in Universities and Conservatoires’ in Music Education in the 21st Century in the United Kingdom: Achievement, Analysis and Aspiration, ed. Susan Hallam and Andrea Creech (London: Institute of Education Press, 2010), pp. 260–78; Helena Gaunt and Susan Hallam Preparing for Success: A Practical Guide for Young Musicians (London: Institute of Education Press, 2012); Gaunt et.al 2012, ‘Supporting conservatoire students towards professional integration: one-to-one tuition and the potential of mentoring’ in Music Education Research 14 (1), pp. 25-43. Our educational practices are now in transition, and we are painfully aware that they must renew themselves. It seems that our future musician needs to be educated more broadly and widely than the more focused and vocational training the past musician hitherto has received in conservatory. Most music students are socialized into the classical music world from childhood, and the process involves a number of authority figures including composers, conductors and teachers. Strong ideas and conceptions about rights and wrongs prevail. Respect for the composer and the work leads to a fear of failure and a perfectionist value system that permeates classical music. Research shows that loyalty to the master teacher’s authority can hinder students’ ability to develop a critical and evaluative attitude to teaching.14)Ingrid Hanken, Studentevaluering av individuell hovedinstrumentundervisning: en casestudie av en høyere musikkutdanningsinstitusjon (PhD diss., The Norwegian Academy of Music, 2007). This top-down model of learning represents power structures that do not necessarily foster independence and creativity. That being said, many conservatories today are trying more dialogical forms of teaching with the aim of strengthening the students’ ownership of their own learning. This involves, for instance, coaching15)Guildhall School of Music and Drama is an example of an institution where a large group of the teachers have trained as coaches as well as in CRP, Critical response process. Liz Lerman & John Borstel, Liz Lerman’s critical response process: A method for getting useful feedback on anything you make, from dance to dessert (Liz Lehrman Dance Exchange, 2003). and posing open questions in trusting that the students have their own resources to draw upon in solving certain challenges. The often repeated binarism of artist vs craftsperson is a constructed distinction of little value. Why is this dichotomy constantly being reiterated? Which views of the musician role do the two extremes represent, and how can we transcend this dichotomy so that the artist and the craftsperson can be integrated? The way the conservatories have emphasized vocational training has naturally reinforced the elements of craftmanship in education. With the technical advancements following the focus on skills, talent and achievements, we have seen the aesthetical, historical, contextual and visionary type of musician waning as an educational core. However, it is interesting that in a survey made in 2013 (Kunstnerundersøkelsen) 77.1per cent of the responding musicians viewed themselves as artists or performers within an artistic occupation.16)https://www.telemarksforsking.no/publikasjoner/filer/2631.pdf. With the technological revolution in the last decades, we have seen a democratization of music, both with regard to practice and production. One does not have to play an instrument from childhood to become a musician today. We see many examples of successful laptop musicians and producers who have not been through higher education in music. Two of Norway’s most prestigious music prizes were awarded last year to Kygo, a young, mostly self-taught man, who composes EDM; the awards followed on his huge international success. What happens to higher music education when teens who cannot read music, but are virtuosic in computer software and audio processing knock on the door of the conservatory? How long the centuries-old traditional instruments will remain at the core of the conservatory education is a very real question. To think of art music as part of the entire ecosystem is a way of contextualizing the music and practice. Many would agree that classical music is an art form with undisputed qualities and with centuries of history paved with great works of art. But what may seem to be the obvious value of classical music to some, is not so obvious to others, and investment in classical music is increasingly challenged. Arguing the case for classical music and fighting for its survival will be an important job for the future musician. We must all contribute, and an important argument takes place through the music itself – we need interpretations that are daring, fresh, innovative, remarkable, risky, unusual, pioneering, radical, historical etc. In short, the aesthetic reflection and argument for the survival of this music should be heard in performance of the music itself, for it to be revitalized and re-enacted in our time. It might be fruitful to ask alumni who have been in the real world for a time to be critical friends for the conservatoire. Both those with successful careers and those who perhaps have not managed so well and maybe even those who have dropped out and for various reasons chosen other career paths. They might be asked what they learned in the conservatory that they benefited from, and what they did not learn that they now see they need? It could also be fruitful to ask festival and programme directors, as well as artists from other disciplines. An outside perspective, offered by stakeholders in real life found at the cutting edge of artistry, might offer interesting critiques, questions and challenges. The state-funded conservatories have a responsibility to society to educate musicians in an approximate ratio between available jobs and the number of graduates. In recent years there has been an overwhelmingly large number of applications for orchestra jobs worldwide, so if we consider the orchestra education as central, the answer is yes – we educate too many musicians. We also see from the huge number of applicants for the free music funds that there is keen competition. As a consequence of the market being flooded with musicians, the fees are forced down. In the regulated field of permanent jobs this is not an issue, but in the world of freelancers fees have not increased for many years – quite the contrary – and it is increasingly difficult to make a living. Mangset describes an art field characterized by what he calls over-recruitment, where far more people want to become artists than ever there will be room for.17)Mangset, Mange er kalt, men få er utvalgt. However, the music scene is changing rapidly; opportunities and markets for musicians outside the institutionalized musical life is burgeoning. There is a multitude of independent groups, bands, orchestras, interdisciplinary collaboration between musicians and artists from other disciplines, practitioner-researchers, music therapists, music teachers, festival managers, curators and project managers. A music education can be used constructively in a variety of ways. In my opinion, it is also extremely valuable to have a thorough knowledge of music as art, as aesthetic experience, which is not instrumental, in a society that is moving inexorably towards quantitative values. To pursue and preserve music as an art form and not as a commodity, is central to the conservatory education. With the enormous challenges we face in today’s society, arts and culture are core values that have great potential, offering alternative perspectives and practices. People trained as musicians but who pursue other occupations after graduation are also valuable for the art field in that they have a deeper understanding of aesthetic values. 2. ↑ See for instance Norman Lebrecht, Who Killed Classical Music? Maestros, Managers, and Corporate Politics (Secaucus, NJ: Carol Publications, 1997); Martin Tröndle (ed.) Das Konzert: neue Aufführungskonzepte für eine klassische Form (Bielefeld: Transcript, 2009); John Sloboda ‘Klassiskutøvarar må lære av popkonsertar. Intervju av Fred Olav Vatne’, www.nrk.no/kultur/_-klassiskutovarar-ma-laere-av-pop-1.8354587 , 2012 (retrieved 17.01.2015) and Greg Sandow Rebirth: The Future of Classical Music, a Book in Progress, www.artsjournal.com/greg/ (retrieved 17.01.2015). 3. ↑ The year after graduation 93per cent had work, of which 26per cent were in permanent employment, 34.5per cent were freelancers and 18.8per cent had temporary positions (the others were students, unemployed and other). 4. ↑ Dawn Bennett, ‘Academy and the Real World Developing Realistic Notions of Career in the Performing Arts’, in Arts and Humanities in Higher Education 8/3 (2009), pp. 309–27. 5. ↑ John Dewey, ‘My Pedagogic Creed’, The School Journal 54/3 (1897), pp. 77–80. 6. ↑ Per Mangset, Mange er kalt, men få er utvalgt: Kunstnerroller i endring (Bø: Telemarksforskning, 2004), p. 243. 7. ↑ Monika Nerland, Instrumentalundervisning som kulturell praksis. En diskursorientert studie av hovedinstrumentundervisning i høyere musikkutdanning (PhD diss., Universitetet i Oslo, 2003), p. 11: Diskurser er historisk frembrakt, og opprettholdes og videreutvikles gjennom sosiale praksiser. De har det ved seg at de utgjør et repertoar for handling, de virker konstituerende, legitimerende og produserende på den sosiale praksis, og dermed også regulerende på hvilke erfaringer man kan gjøre seg i situasjoner der de har effekt (my translation). 8. ↑ See also cellist composer Tod Machover, ‘My Cello’, in Evocative Objects: Things We Think With, ed. Sherry Turkle (Cambridge, MA: MIT Press, 2007), pp. 12–21, presents his cello as the prime thinking object that connects him to a creative state. 9. ↑ ‘The goal of safeguarding, as with other forms of intangible cultural heritage, is to ensure that the knowledge and skills associated with traditional artisanry are passed on to future generations so that crafts can continue to be produced within their communities, providing livelihoods to their makers and reflecting creativity, www.unesco.org/culture/ich/en/what-is-intangible-heritage-00003 (retrieved 19.08.17). 10. ↑ Douglas Dempster, ‘Some Immodest Proposals (and Hunches) for Conservatory Education’, in Discplining the Arts: Teaching Entrepreneurship in Context , ed. Gary Beckman (Lanham: Rowman, 2011), p. 6. 13. ↑ Dawn Bennett Understanding the Classical Music Profession (Aldershot: Ashgate, 2008); Dawn Bennett and Michael Hannan, eds, Inside, Outside, Downside Up: Conservatoire Training and Musicians’ Work (Perth: Black Swan Press, 2010), Helena Gaunt and Ioulia Papageorgi, ‘Music in Universities and Conservatoires’ in Music Education in the 21st Century in the United Kingdom: Achievement, Analysis and Aspiration, ed. Susan Hallam and Andrea Creech (London: Institute of Education Press, 2010), pp. 260–78; Helena Gaunt and Susan Hallam Preparing for Success: A Practical Guide for Young Musicians (London: Institute of Education Press, 2012); Gaunt et.al 2012, ‘Supporting conservatoire students towards professional integration: one-to-one tuition and the potential of mentoring’ in Music Education Research 14 (1), pp. 25-43. 14. ↑ Ingrid Hanken, Studentevaluering av individuell hovedinstrumentundervisning: en casestudie av en høyere musikkutdanningsinstitusjon (PhD diss., The Norwegian Academy of Music, 2007). 15. ↑ Guildhall School of Music and Drama is an example of an institution where a large group of the teachers have trained as coaches as well as in CRP, Critical response process. Liz Lerman & John Borstel, Liz Lerman’s critical response process: A method for getting useful feedback on anything you make, from dance to dessert (Liz Lehrman Dance Exchange, 2003). 17. ↑ Mangset, Mange er kalt, men få er utvalgt.